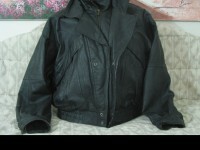 *MANUFACTURER: Dynamic is written on Jacket - Made in England tag is attached on the inside collar. 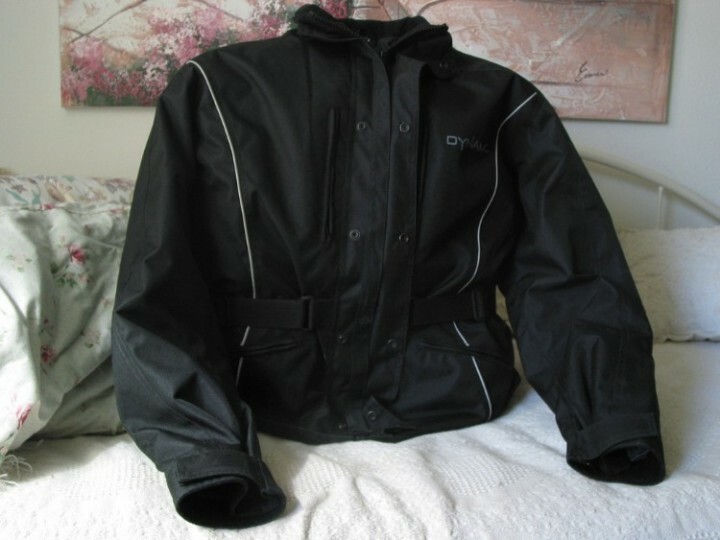 *MATERIAL: Appears to be Cordova or a canvas type material making up the outer shell but is unknown, could be polyester or nylon - No manufacturer tags - This jacket has a tag stating it is waterproof with care instructions under the zippered in inner liner. *COLLAR TO WAIST: Approx. down back 30"
*FEATURES: The elbows are reinforced with pads, adjustable waist strap, zippered main close with snap button zipper cover, Velcro cuffs, stand up collar, the word Dynamic is written on the left chest and across the back.